The Google Maps app is seen on an Apple iPhone 4S on December 13, 2012 in Fairfax, California. Google Maps users will soon be able to broadcast their movements to friends and family via the app — the latest test of how much privacy people are willing to sacrifice in an era of rampant sharing. 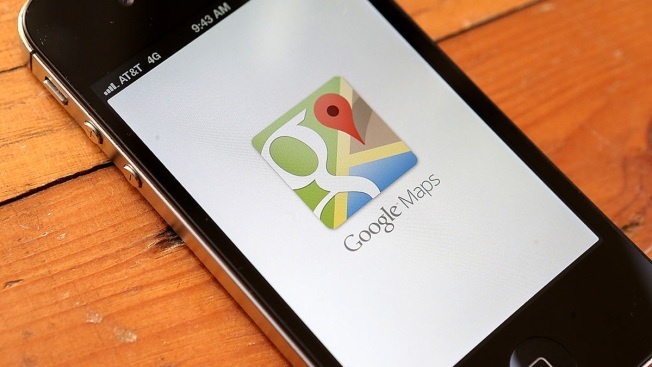 The location-monitoring feature will begin rolling out Wednesday in an update to the Google Maps mobile app, which is already installed on most of the world's smartphones. It will also be available on personal computers. But location sharing in one of the world's most popular apps could cause friction in marriages and other relationships if one partner demands to know where the other is at all times. Similar tensions could arise if parents insist their teenagers turn on the location-sharing option before they go out. Similar tracking is already available on other apps; Glympse, founded by former Microsoft employees, has offered this function for years. That's one of the reasons Google isn't expecting a lot of complaints about adding the option to Maps, especially since everyone can decide when to turn it on and who can monitor them. "We don't feel like we are changing the game," said Jen Fitzpatrick, Google's vice president of maps. Maps users will be able to activate the location-sharing feature by tapping a button near the search bar and then picking a person from their contact list to text with the information. If the recipient doesn't have the Google Maps app on their phone, it will text them a link to open the location on the map in a browser. The settings also allow users to determine how long their movements can be tracked each time a location is shared. If no time limit is selected, Google will periodically send people email reminders that they're still sharing their location.